Review in a Nutshell: Clockwork Angel is a fantastic introduction to a trilogy that will take over your life. Clockwork Angel takes place in London, 1878, as Tessa Gray searches for her missing brother. However, her search brings her into the world of Shadowhunters, demons, warlocks, and vampires. Cassandra Clare’s The Mortal Instruments series introduced me to the world of Shadowhunters, but this series takes it to the next level. I loved seeing how the Shadowhunter and Downworlder world worked in the 1800s. Also, I love the Victorian/Steampunk setting for this book. The two types of worlds and genre blend together beautifully and make for a fascinating setting. Cassandra Clare’s writing is addictive. She writes with a mix of pretty prose and witty humor that keeps you glued to the pages. Her books never fail to make me laugh out loud. In addition to that, there’s also an immense amount of heart in this book. The plot is fast-paced, with plenty of action and adventure to turn the pages. There’s also a decent amount of angst and melodrama that sucked me in, and it never felt like it was too much (something I found myself thinking in her first series). I. Love. These. Characters. I just want to give them all a hug, and some chocolate. Admittedly, they can feel a bit similar to previous Cassandra Clare characters, but they’re much more well-rounded. This is also one of the rare series where I love the love triangle (yes, in case you were wondering– there is a love triangle). All three characters are so well developed, and there’s no fighting or arguing over who gets the girl. They all just want each other to be happy, even if it means they aren’t. It’s so pure and sweet and I love them all. 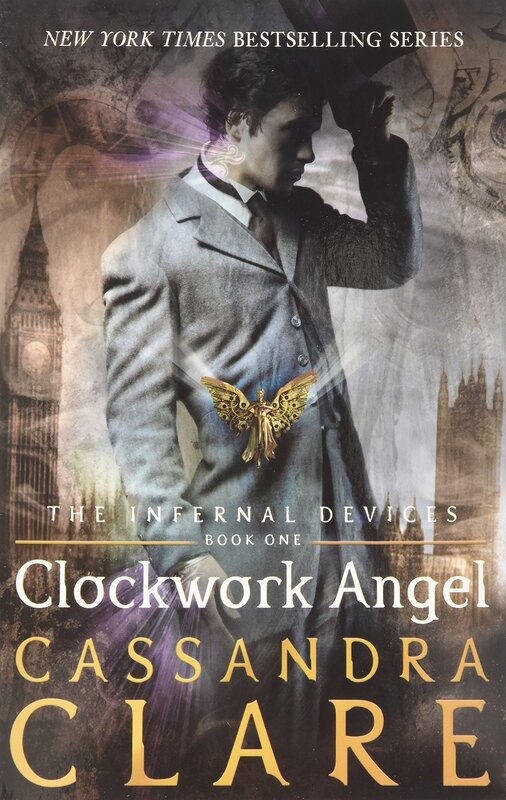 Clockwork Angel is the first book in Cassandra Clare’s best series, by far. Full of humor, action, fantasy, and romance, you won’t want to put it down.